My visions of an ideal summer day might be…spending time at the beach or having a family picnic. Should these activities include a 7 yrs old boy glued to an iPad? Prior to having children, I would cringe seeing a child on a GameBoy or laptop while sitting by the pool or at the park. Kids should be engaged in family experiences, right? “What are those parents thinking? !” Not only would I think this, but I would likely say it out loud! As imagined, now I have a different dialogue running through my head! Take our recent ferry trip. It was a gorgeous summer day and the forecast was for hot temperatures. Because we are true Washingtonians with a pinch of vampire (See My Funny Vampire post), we packed up the car and headed for the ferry docks. We missed our ferry and were relieved that we were properly prepared with charged electronics for the wait. While on the ferry, we decided to stand outside of the car and enjoy the amazing water view. However, my TBP wouldn’t leave the comfort of his backseat. Once on the island, we went to the local farmer’s market before heading to lunch. There was a pretty equal mix of eating and playing games at lunch. When lunch was done, our son was too! Luckily, we were able to take a quick walk through town (not as long as we would have liked) despite frequent requests to go home. Losing interest in the walk. 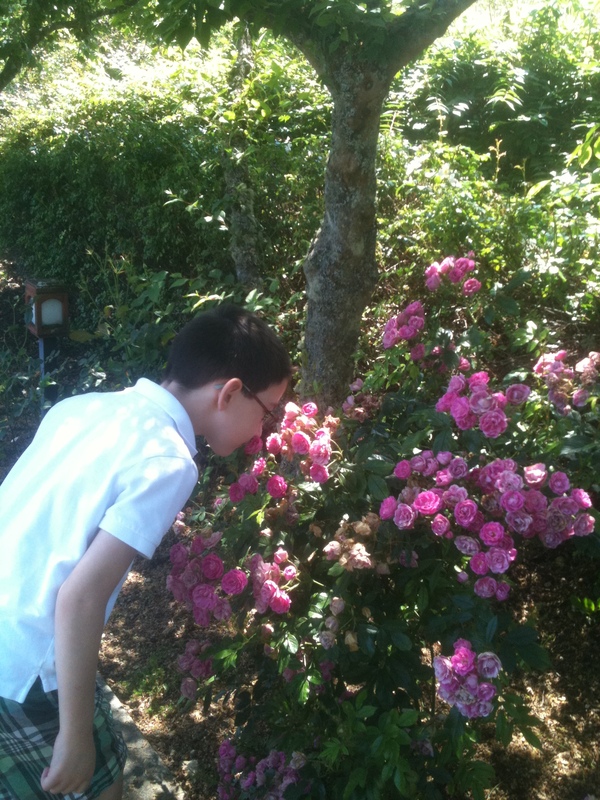 When back in the car, he was able to recharge the iPad which in turn…recharged his tolerance for this family outing. Here’s what it reminded me…you cannot judge me until you sit in my car during a ferry line! I would love if these trips meant to him what they mean to me. That just isn’t the case. So, we go as a family and he enjoys parts of what the trip has to offer and the rest of the time he uses the iPad so that we can enjoy ourselves too! I finally get it! The parents that I previously judged, let the kids think that they were doing them a favor by letting them use the iPad . In reality, the iPad is a gift for the parents! It buys some time. We have conversations (at least partial ones), we eat our food, and we can read or shop with minimum complaints. There I said it! I didn’t know the secret until now! Is he plugged into electronics more than I would like? Probably. But at the same time, the games on the iPad , filming Mine Craft tutorials, and challenging himself to do more than the last time he crafted a village… are the things that he loves to do. So we work to achieve some level of balance between plugged in & unplugged. I admit, like most things, this is a work in progress! It’s all about accepting. Your son has his ways and even though you’d like some of them to be different, you accept them. I have the same challenges with my children. Sometimes I am dissapointed in them and sometimes with me. Neither way does any good. I think achieving a good balance is all you can do and hope for. You were outside and you went for a walk. It’s not like you stayed at home the whole weekend. Like you said, you can’t force him and you shouldn’t have to. I can imagine that things are different than you had hoped and I can relate to the disappointment you may be feeling from time to time. But things never turn out the way we imagined. Embracing the way things are and focusing on what I like about it helps me a lot. You are so right! He is so unique and amazing and i want him to know that I truly feel that way! I want him to feel that way about himself so I am learning to embrace his gifts and help him manage his biggest challenges. We gave him a flip recorder and he loves his tutorials! He got so excited when he saw that someone had watched it on You Tube! I believe that there’s lots of judgment around screen time. We use a visual timer which helps us all realize how much time has gone by. Thank you for your comments! 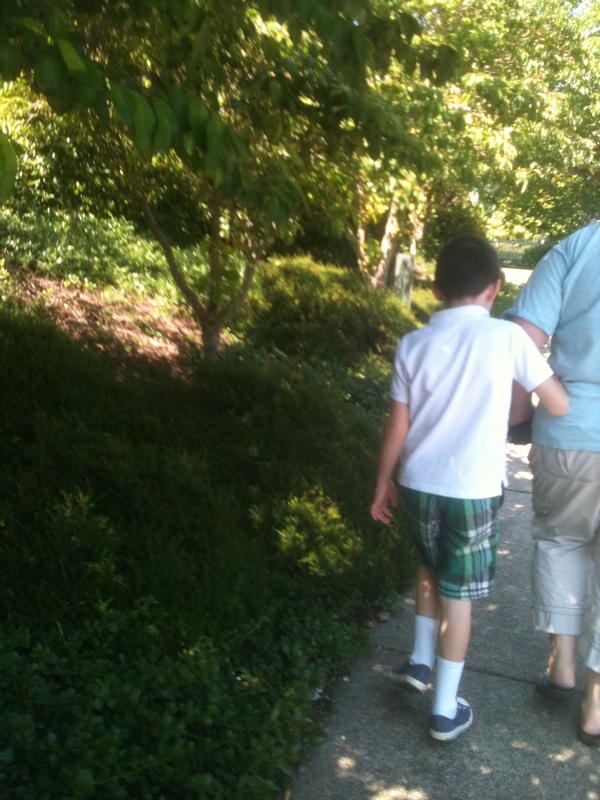 What I do as a parent (and allow my son to do) is far different than how I imagined before I became a dad. Like you, we struggle with our son’s use of electronics, and I hate to admit that we probably allow it sometimes just because it gives us a break. But, you’re right, it’s unfair to judge others until you’ve been in their shoes. I now understand that. Well said! I agree! I know that I’m not any good to my son, if I haven’t had a break… so your point makes perfect sense. Electronic devices are great tools, not only as a positive reinforcer for good work, but as a means of education also. It is a pleasurable way to pass down time. Highly intelligent beings need more intellectual stimuli than most. One of the worst things for gifted children…is boredom. It forces a shutdown. Especially for visual-spatial learners…devices, such as the iPad, unlocks a whole new realm of stimulation. As they process things very quickly, they may look more deeply into the games. What many see before them is not merely the projected images…but the logic of the developers behind the game. They see patterns among the games…the way they were put together…similar themes…the actual thought process used in how the games play out. So long as the electronic devices are used as a supplement to learning, as a motivator for life lessons (deferred gratification – to be used as a reward after he completes his studies), and as an interesting and engaging entertainment tool to pass dead time (so his mind may stay active and engaged)…thereby alleviating unnecessary familial stress…they can be a valuable addition to the parental repertoire. My son LOVES his iPad. 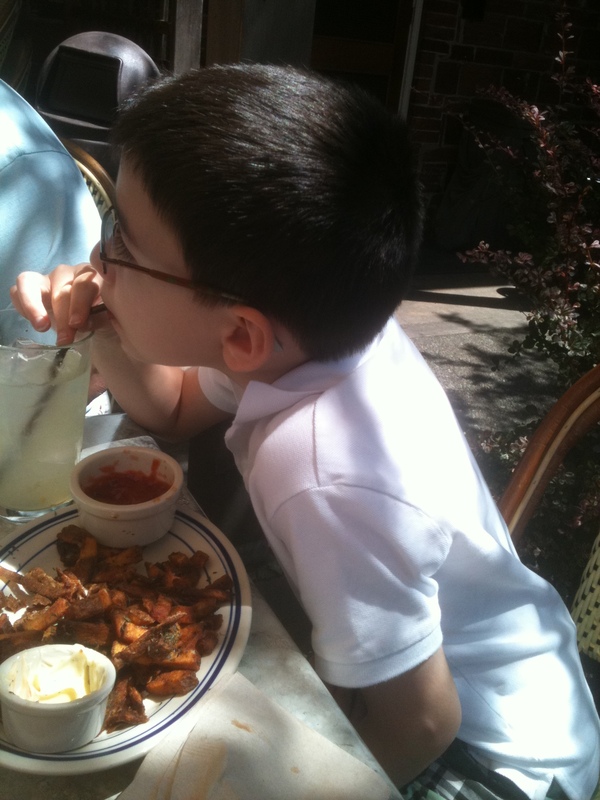 We allow him to use it after his studies for the day…in the car…while we await our meals at restaurants…etc. As an earned privilege…it is guilt free for all. In reference to his daily studies…we manage by objective…not by time spent on a particular subject. It is the results that matter…not the effort (intelligent use of effort makes it more efficient..resulting in less overall effort and time spent). As a reward for his daily achievements…it stimulates his desire to do well…to get things right the first time around…so he may have more free time. This way it is all under his control. It motivates the child to work efficiently…striving to understand fundamental concepts so he will be able to master the day’s lessons through economy of thought…which will, of course, allow him to achieve his goal in a shorter period of time. This becomes a double reinforcement. He gets great praise upon successful achievement of the objective (which stimulates the development of true pride)…and he gets to fully enjoy guilt free game time…all because it is of his doing…and of his desire. As much as I love reading your posts, I’m even more excited when you leave your thoughtful comments on my posts! 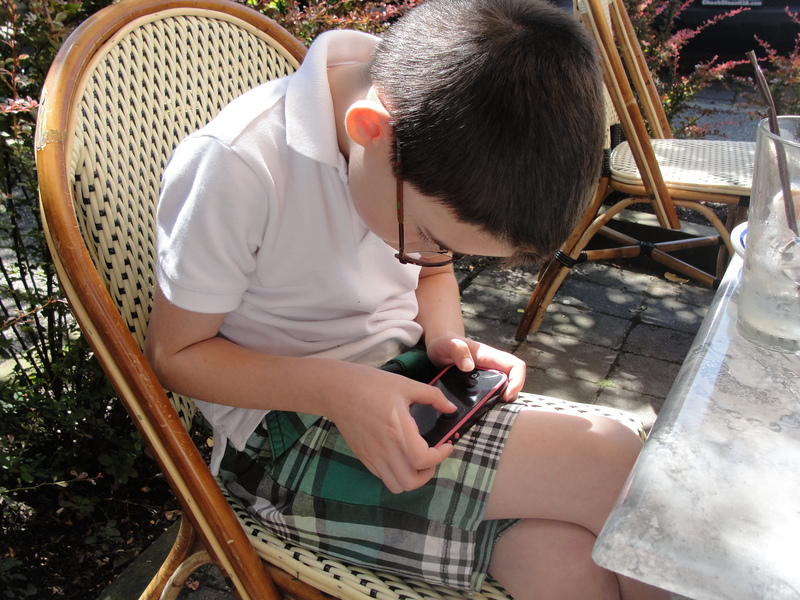 My opinions of tech games and IPad have changed 180′ after having a highly gifted child. I wished that more people understood the value, but I am also getting to a point where I can smile through the comments or eye rolls! I love your honesty here. I, too, wondered about random kids I would see glued to their electronic devices. Now, as a mother, I can totally understand what everyone is going through. Although mine is only 14-months-old, I do allow him to use the iPad for 5 minute intervals (3 times a week)…all educational Apps. At first, I did this so he could get acclimated with it; I’m guilty of allowing him to use it while he sits on the floor and I prepare lunch. That 5 minutes does wonders to my energy level! @Oster’s Mom-I believe that the motivation and interest that the IPad provides Oster is very beneficial. As he grows, you will continue to provide him wonderful learning opportunities and the iPad I’m sure will be part of it 😉 If the iPad provides you a bit of breathing time then it is a win-win situation!